A strong, speedy young fellow with an effervescent nature and a tremendous yen for the game. The Oakland Tribune once described Henry "Marty" Martinez as “a strong, speedy young fellow with an effervescent nature and a tremendous yen for the game.” That pretty much summed him up although his yen and talent for sport stretched far beyond baseball. Henry Martinez was born in Honolulu in the Hawaiian Islands, and his family moved to Mountain View, near San Jose, California, when he was 10 years old. Martinez was an athletic sensation in high school. A star on the baseball team, he was named All-Santa Clara Valley half back in football two successive years, he captained the basketball team for three years, and headed the track team for two years. In track, Martinez specialized in sprints and the broad jump, establishing a valley record of 21 feet 8 inches in the latter event. In the spring of 1934, Martinez entered the University of Southern California to play football, but two weeks later he quit because the football coach told him he would not be allowed to play baseball in the spring. Martinez returned to his Mountain View home and took a job in a San Jose department store. He played semi-pro baseball during 1934 and 1935 with the San Jose Bees and the San Mateo Blues in the State League and also played with the Mountain View Athletics. 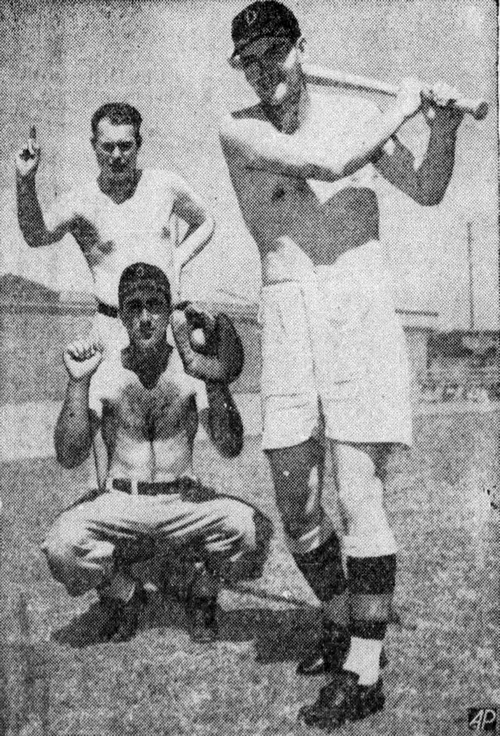 His aggressive, all-out nature on the playing field attracted much attention and during the winter of 1935, the young infielder signed a professional contract with the Oakland Oaks of the Class AA Pacific Coast League. He attended their spring training camp in Modesto and was assigned to the Vancouver Senior A League where he played for the Athletics and batted .309, leading the league in stolen bases and triples.3 Martinez was back at spring training with the Oaks in 1937. This time he was assigned to the Des Moines Demons of the Class A Western League, where he hit 12 home runs and led the circuit with 119 games played, while finishing third in the league with 28 stolen bases despite batting only .216. In the spring of 1938, Martinez gained a spot on the Oaks’ roster as a utility infielder, but after eight games he was farmed out to the Spokane Hawks of the Class B Western International League. In 118 games with the Hawks, Martinez batted .262 and stole 29 bases, receiving honorable mention on the all-star team. He joined the Seattle Rainiers of the Pacific Coast League in 1939, appearing in 35 games and batting .282, before returning to Spokane for the remainder of the season and batting .270 in 78 games. Martinez was All-Western International League after batting .315 for Spokane in 1940, scoring 130 runs, stealing a league-record 46 bases and collecting 15 triples in helping the team finish in first place. In 1941, he was All-Western International League again, hitting .339 (second best in the league), scoring 131 runs with 14 triples and 33 steals as the club again finished first. One of the most popular players ever to don a Spokane uniform, he was sold to the Portland Beavers of the Pacific Coast League by club owner Bill Ulrich for 1942 When the Beavers' regular third baseman, Marv Owen, was forced out of the opening game with a hand injury, Martinez filled in and saw regular action as a utility infielder. He played 85 games for the last-place club and batted .243 with 26 RBIs. Martinez’ body was never recovered and he is remembered at the Manila American Cemetery at Fort Bonifacio, in the Philippines.